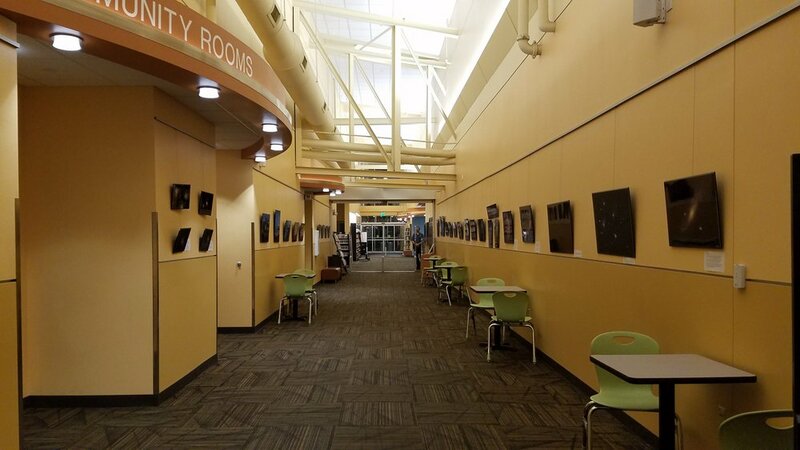 Galaxies, Star Clusters and Nebulae Fill the Hall at Mesa County Main Branch Library! 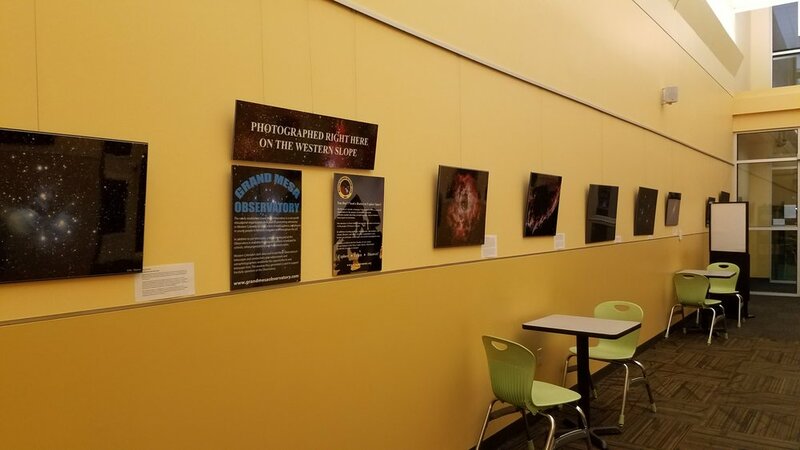 The Grand Mesa Observatory is thrilled to have an exhibit of astrophotography prints lining the hallway of the main branch of the Mesa County Library. The Library and Grand Mesa Observatory are both dedicated to bringing astronomy to the people of Western Colorado. All of the stunning photos of deep space objects were taken locally right here on the Western Slope (many at Grand Mesa Observatory). Four of GMO's staff (Terry Hancock, Isaac Garfinkle, John Mansur, and Tom Masterson), plus Western Colorado Astronomy club member Victor Barton's talents are showcased at the exhibit. The photos cover a diverse range of deep sky objects and are done in color, Hubble Palette, and black and white. Something for everyone! The exhibit opened on February 1st. and will run through March 14th.